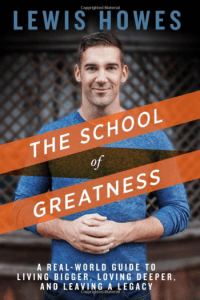 Tag Archives for " Lewis Howes "
My guest for this week’s episode of the Duct Tape Marketing Podcast is Lewis Howes, host of The School of Greatness Podcast and author of the new book The School of Greatness: A Real-World Guide to Living Bigger, Loving Deeper, and Leaving a Legacy. We discuss his podcast process and how to inspire yourself to do better every day. One of the overarching themes of Howes’ work is the notion of overcoming adversity. In almost every instance, his interviews and lessons draw on the experience of humans overcoming great odds to achieve what they set out to achieve. The School of Greatness is an inspiring read as well as a great reminder of what it takes to reach your goals – no matter how audacious they may be! What inspired your podcast and your book? How did your upbringing define who you are today and your strive for greatness? Is there something your career as an athlete has taught you about starting a business?